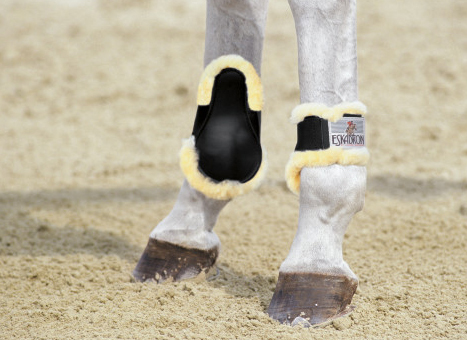 Short Hind leg boots made of TPE with special protection against knocks. Permitted for show jumper horse competitions as well as free jumping performance tests according to LPO (German Competition Regulations). Available in White (03), Navy (04), Brown (05), Black (07), Tanne (08), Grey (10), Light Blue (12), Bordeaux (16), Mud (18), Cognac (45), Dark Brown (78). Also Available in Pony Size (All Colours except Dark Brown). 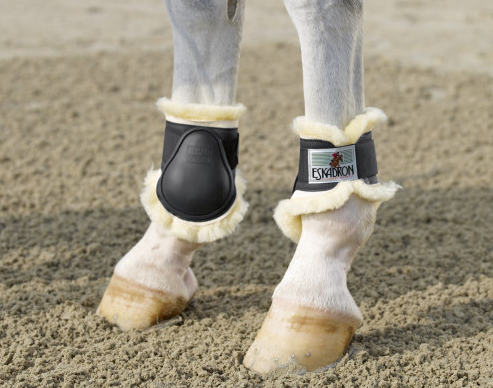 Short Hind leg boots of TPE and Sheepskin with special protection against knocks. Available in White (03), Brown (05), Black (07). Also Available in Pony Size. 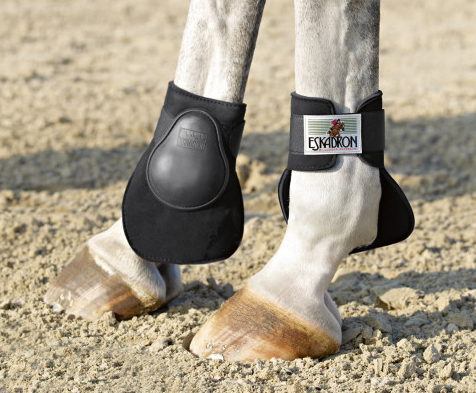 The perfect leg protection because of the anatomically formed hard shell, Neoprene lining and elasticated Velcro fastening. Available in White (03), Navy (04), Brown (05), Black (07), Tanne (08), Grey (10), Light Blue (12), Bordeaux (16), Mud (18), Cognac (45). 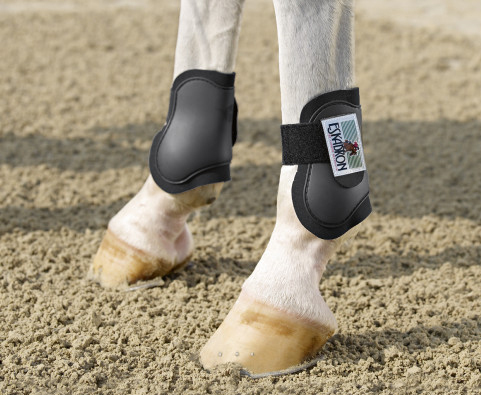 The perfect leg protection because of the anatomically formed hard shell, with Gel Lining. Available in White (03), Black (07). 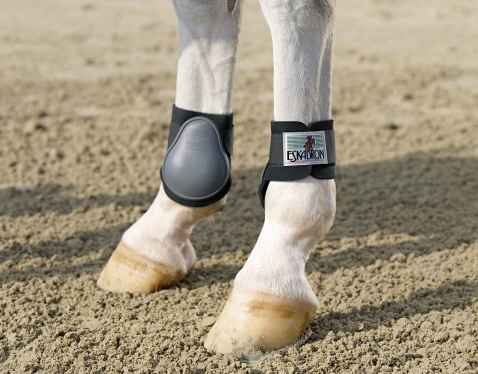 Open Short Hind leg Boot. Optimum protection by means of anatomically adapted Hard TPE shell with practical, easy to use elasticated Velcro fastening and Neoprene lining. 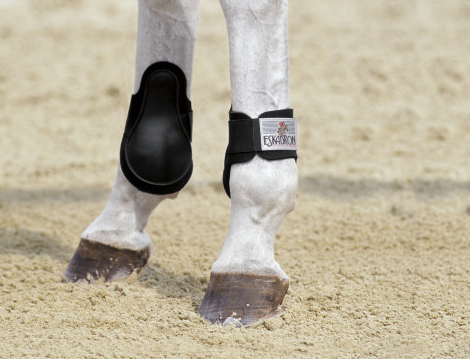 Short Hind leg boots with a strong TPE outer shell for protection against knocks in this area. 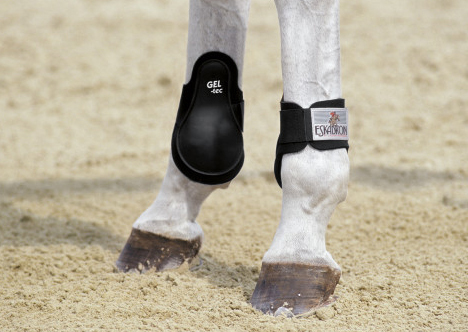 The Fetlock Boot has extended Neoprene lining on the inside as additional protection against knocks and kicks. The outside of the Neoprene is reinforced with hard-wearing PIKOSOFT material. Available in Black (07), Dark Brown (78).